I mainly listen to rock and pop, so expect everything from Crowded House to Iced Earth to Yes, and Frank Zappa to Harem Scarem to Uriah Heep. And maybe some occasional classical or new age / ambient music too. See paragraph “Will You Post About My CD?”! 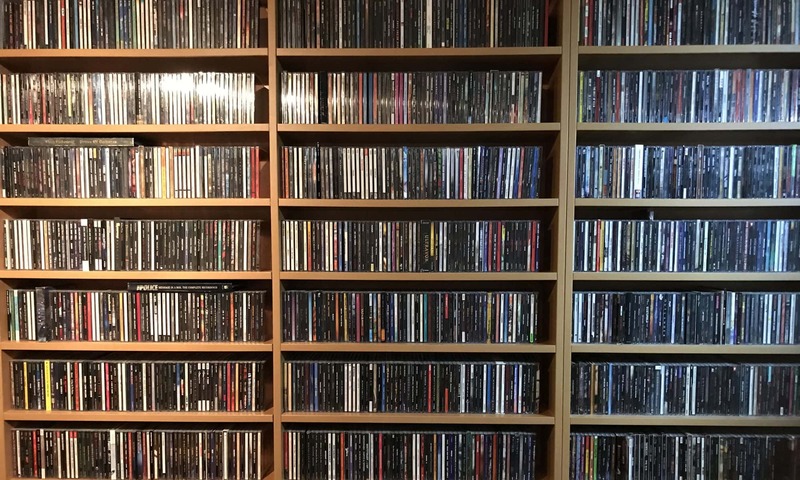 Don’t know about you, but I still like to have CD’s instead of downloads. As a matter of fact, I sometimes even buy the odd LP… Guess I like to take a closer look at the artwork, read the lyrics or the liner notes. That said, I do tend to buy prize based. That is why it sometimes takes years before a certain record is added to my collection. Which will be reflected in the reviews on the site. Just so you know. Any CD sent to me that falls within the boundaries will get a post! Additionally, I add music that fits to my show on Future Beautiful Radio called The Indie Rock Show. You can also join the Facebook page for it. guitars in Dutch melodic and progressive hard rock band Chinawhite and guitars, keyboards, drums in elaborate rock project Forest Field and if that is not enough, I also started instrumental project Earthshine and the Age Of Aquarius project and also guested on guitar solos for many others. I have been playing music for over 30 years. Not only rock music but I also played in a brass ensemble (we call it a fanfare) for over 15 years. I am a theoretical trained musician and can play a little piano, organ, brass instruments like trumpet or bugle, but my main instrument is the guitar. Acoustic, or electric, 6 and 7 strings. And sing some backing vocals. In my studio I can have fun with recording, mixing and mastering. Will you post about my CD? Sure, just get in touch! But before you do, please keep in mind CD only though, I do not listen to streams or mp3. And I don´t post on a regular timebase. And while I have nothing against genres like Hip Hop, Rap, Dance, House, Disco, Trance, etc., these are not styles I am comfortable with as I never listen to it. So I will not write about that! And additionally, no singles either. Sometimes I will post about a video or EP, but that will be the exception to the rule. If you send me your CD, I will listen to it and post my review on it. For sure! In the (rare) occasion that I have nothing positive to say however, I will not post about your album.